This essay examines the humanitarian negotiation of protection in the Syrian refugee response. As I discuss in recent research, UNHCR’s operations have not been shielded from Lebanon’s unwillingness to host Syrian refugees. In fact, Lebanon’s increasingly restrictive refugee policies have heavily affected UNHCR’s ability to execute its international protection mandate. One of the reasons for this situation lies in the challenges of formalizing UNHCR’s presence in the country, where, ever since the breakdown of a 2003 Memorandum of Understanding, new forms of cooperation have been difficult to formalize. This essay presents three examples of how UNHCR has negotiated refugee protection in Lebanon: by avoiding the refugee label, by establishing the contested notion of “protection space,” and by suspending refugee registration at the request of the Lebanese government. The refugee label has been politically loaded in Lebanon for more than a half-century. I have elsewhere discussed in detail the key reasons why Lebanon seeks to avoid applying this label, and these include a fear that doing so would not only entail the permanency of refugees on Lebanese territory, but also trigger the application of the international refugee law regime. With the influx of Syrians to Lebanon, discussions of how to label those seeking safety in the country were brought to a head. In June 2012, Lebanon’s caretaker government established a policy of neutrality towards the events in Syria. One strand of this “disassociation” policy was the enforcement of the term “displaced persons” rather than “refugees.” The Lebanese government is also adamant about UNHCR not using the term “refugees,” and the initial ad-hoc registration was therefore simply of “Syrian citizens who have fled into Lebanon.” At the beginning of the Syrian influx, UNHCR sought not only to be flexible towards the Lebanese government, but also to maintain cautiousness with the Syrian government. UNHCR’s Syria office was one of its largest, providing protection and assistance to hundreds of thousands of — mostly Iraqi — refugees. 3. “de facto refugees” (both 2. and 3. referring exclusively to Syrian nationals who are registered with UNHCR or seeking registration). In contrast to prima facie refugee status, simply characterizing a flow as a “refugee movement” is not an established means of determining refugee status under international law. I have elsewhere argued that UNHCR likely perceived the political costs associated with refugee status determination, however prima facie, to outweigh the potential protection gains. It may also be a question of organizational efficiency, where UNHCR is increasingly and explicitly seeking to explore alternative protection strategies that do not require refugee status determination. This protection space approach has meant that as long as Lebanon provides protection to refugees, UNHCR will not pressure it into ratifying any international law instruments. This protection space approach has meant that as long as Lebanon provides de facto protection to refugees, UNHCR will not pressure it into ratifying any international law instruments. It is therefore interesting to see that discussions of the issue of Lebanon’s accession to the 1951 Refugee Convention have been spearheaded, not by UNHCR as one would expect, but by other UN bodies. These have included the Committees on the Convention on Ethnic and Racial Discrimination (CERD), the Convention on the Elimination of All Forms of Violence against Women (CEDAW), and the Convention on the Rights of the Child (CRC). The Lebanese government has been feeling the international pressure to accede to the Convention; in October 2014, local papers reported how Lebanese ministers “thwarted an attempt to push Lebanon towards signing the 1951 Geneva Convention on the status of refugees” during the Berlin Conference on the Syrian Refugee Situation. The third example of UNHCR’s humanitarian negotiation of refugee protection is its compliance with the Lebanese government’s request to suspend the registration of new refugees. Registration procedures are a fundamental component of international protection, and, in 2013 and 2014, UNHCR registered on average 47,000 Syrian refugees per month in Lebanon. In April 2014, the one-million-registered-refugees mark was passed, and the Lebanese government took decisive action to exercise greater control over the Syrian presence. This included the adoption of a new policy on Syrian displacement aimed at decreasing the number of Syrian refugees in Lebanon by reducing access to territory and encouraging return to Syria. By March 2015, the official number of registered refugees in Lebanon had grown to almost 1.2 million. The Lebanese government responded only two months later by suspending UNHCR’s registration of Syrian refugees. While the official reason for this suspension was to develop a new mechanism for refugee registration, a more important aim was simply to cap the official number of refugees. As local media reported at the time, “at the end of the year, the calculations should show more deactivations than new refugees.” Today, registration remains suspended, and no new mechanism for registration has materialized. Refugees who approach UNHCR after what is essentially a ban on registration are merely being recorded, i.e. only basic information and biometric data are collected in UNHCR’s Refugee Assistance Information System (RAIS) database. Refugee registration, in contrast, entails not only a “civilian character of asylum” screening, but also the collection of biodata (including religion and ethnicity), photographs, biometric data (iris scans), brief reasons for flight and fear of return, and copies of documents. 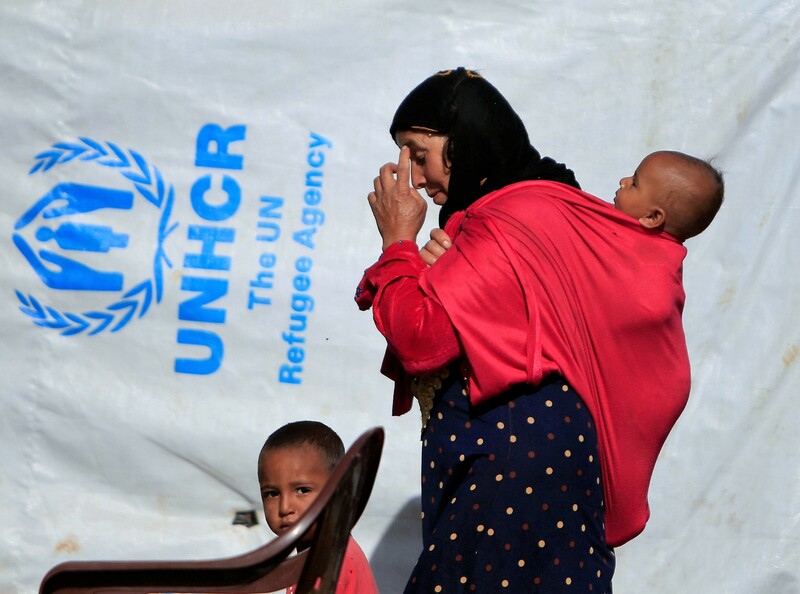 At the time of the suspension order, the UNHCR certificate provided to registered refugees had limited practical value for Syrian refugees in Lebanon. While it entitled refugees to international protection and humanitarian assistance, it did not normally confer any formal status recognized by the Lebanese government. Not long after the Lebanese authorities suspended UNHCR registration, however, the registration certificate became crucial for many Syrians to obtain legal residency in Lebanon. When registration with UNHCR is no longer an option, Syrians are ... forced to secure residency as economic migrants, through the sponsorship system. A new residency policy for Syrians, which entered into effect in January 2015, provides two primary avenues for Syrian nationals to obtain residency: sponsorship as laborers by a Lebanese citizen or reliance on a UNHCR registration certificate. As such, registration and the UNHCR certificate can be said to now constitute “a semi-recognition of refugee status.” What this has meant in practice is that when registration with UNHCR is no longer an option, Syrians cannot obtain a residency visa in Lebanon by way of a UNHCR registration certificate and are, instead, forced to secure residency as economic migrants, through the sponsorship system. Making matters worse, the suspension order was also accompanied by a government-enforced practice of de-registering Syrian refugees. The details of this de-registration are far from clear, but questions have been raised as to whether the cases of the de-registered refugees were adjudicated fairly. In the past, UNHCR has been criticized precisely for being “too casual” when it comes to taking refugee status away from people. UNHCR occupies a challenging place in the world today, not only being norm entrepreneur and supervisor of the 1951 Refugee Convention, but oftentimes the very agent through which refugee protection is offered on the ground. UNHCR’s international protection mandate is ever more challenging to implement in states that are not parties to the core refugee protection instruments. This essay has highlighted how, in the case of Lebanon, UNHCR is often caught between the principles of international refugee law, and the country’s own approach to asylum and Syrian refugees. Due to the lack of any formalization of UNHCR’s presence, the legal mandate for its work in Lebanon has largely been left undefined and the organization has become increasingly exposed to governmental interference in its operations. In such circumstances, refugee protection has become negotiable, evidenced in the case of Lebanon by weighty discussions concerning terminology, the ambition to establish a pragmatic “protection space” rather than a principled stance to refugee protection or refugee rights, and, finally, the suspension of refugee registration. Empirically, it is difficult to say how such negotiated protection has increased the de facto protection of Syrian refugees in Lebanon. What research on the ground does show, however, is that while many Syrian refugees in Lebanon are registered with UNHCR, many others suffer a much more ambiguous legal status. The latter population appears to lack access to the international protection ordinarily afforded refugees. This would suggest that there is a real risk that too much pragmatism may come at the expense of core international legal norms and humanitarian values. For an overview of UNHCR’s budgets in Lebanon year-by-year, see UNHCR website, accessed December 15, 2017, http://reporting.unhcr.org/node/2520#_ga=1.61195755.63040930.1444294083. Maja Janmyr, “UNHCR and the Syrian refugee response: negotiating status and registration in Lebanon,” International Journal of Human Rights (2017) doi: 10.1080/13642987.2017.1371140. Maja Janmyr, “No Country of Asylum: ‘Legitimizing’ Lebanon’s Rejection of the 1951 Refugee Convention” International Journal of Refugee Law 29, No. 3 (2017): 438-465. Cecile Zwiebach, “Iraqi Refugees and UNHCR: the Challenges of Administering Humanitarian Assistance under Overlapping Refugee Laws,” Georgetown Immigration Law Journal 22 (2007-2008): 767-794. Remarks by UNHCR’s representative to Lebanon, quoted in Yazan al-Saadi, “The diversion strategy: Lebanese racism, classism, and the refugees,” Al-Akhbar, June 10, 2014, accessed December 15, 2017, http://english.al-akhbar.com/node/20121. UNHCR, “Guidelines on International Protection No. 11: Prima Facie Recognition of Refugee Status,” UN doc. HCR/GIP/15/11 (June 24 2015), para 1. Janmyr, “UNHCR and the Syrian refugee response” (2017). Janmyr, “No country of asylum” (2017). Erika Feller, “Protecting People in Conflict and Crisis – Responding to the Challenges of a Changing World” (Opening Address) at the Humanitarian Space conference at the Refugee Studies Centre, Oxford (October 2009) 5. UNHCR, Global Focus, accessed December 15 2017, http://reporting.unhcr.org/node/2520?y=2016#year. Dallal Stevens, “Legal Status, Labelling, and Protection: the Case of Iraqi ‘Refugees’ in Jordan,” International Journal of Refugee Law, 25, no 1 (2013): 1–38; Martin Jones, “Moving beyond Protection Space: Developing a Law of Asylum in South East Asia” in Susan Kneebone, Loretta Baldassar, and Dallal Stevens (eds), Refugee Protection and the Role of Law: Conflicting Identities (Routledge, 2014) 251. Jones “Moving beyond Protection Space” (2014) 257. 2014), accessed December 15 2017, http://www.naharnet.com/stories/en/152503. Maya Gebeily, “A refugee on paper,” Executive Magazine (March 11, 2015) accessed December 15 2017, http://www.executive-magazine.com/economics-policy/refugee-paper.